What are the problems with box gutters? If you can’t see your roof gutter from ground level, then you probably have a box gutter. Most houses don’t have box gutters. They have gutters running around the external perimeter of the roofs and these are called ‘eaves gutters’ (even though some houses now do not have eaves). A box gutter may look like a box because of its ‘boxy’ shape. But the main reason for its name is because it is ‘boxed in’ on all sides. The picture above shows the layout of a typical box gutter on a metal roof. Typically, a box gutter is ‘trapped’ between two roofs that feed rainwater into it. The water is drained via downpipe nozzles, or via a sumps & downpipes built into it. A good box gutter design will have falls along its length, together with sumps to collect water before it is fed into large downpipes. There will also be an overflow facility on the side or the end. This is very important – so that water will overflow externally to the building, rather than flood into the roof cavity. The best box gutter design has full width discharge ends. These pour water into rainwater heads on a wall outside the building. There are no internal downpipes and sumps to block up and cause overflows. What is the best material for a box gutter? I recommend that (as a minimum) colorbond should always be used. Some severe situations may call for colorbond “ULTRA” or even colorbond stainless…. although care against cathodic corrosion is needed with stainless. Box gutters get a lot of moist leaves and debris and these can shorten its life – so the rule of thumb is to have the box gutter material as good or better (in the corrosion department) than the roofing material. Sometimes I see architectural specifications nominating a colorbond roof with a zincalume box gutter. This combination can result in much higher maintenance costs for the roof. …Because, the box gutter will need replacement a lot sooner than the roof. And a box gutter replacement is quite expensive and time consuming – because it usually involves removal of the roof sheeting. It is easier to replace a box gutter together with the roof . 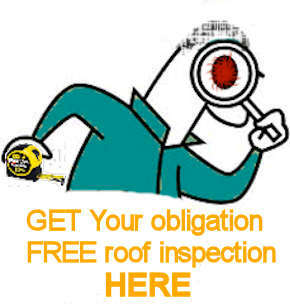 Doing it with the roof in place is much more time consuming and costly. Can box gutters be eliminated? Unfortunately, with flat roofs, larger complex roofs, parapet walls and other architectural building features, rainwater does not always drain out directly to the external perimeter of the roof. In these instances, box gutters are the only viable option. So, if your roof is not ‘straight forward’ – then you probably have a one of these somewhere on it. There is no need to stress out about box gutters…if they are designed correctly with overflows and you carry out regular maintenance. It pays to have these gutters maintained and regularly cleaned out – simply because a box gutter leak has much higher consequences. Water will go into the house! Whilst with eaves gutters along the edge of your roof, the water just pours outside when it overflows or leaks. There is a lot more work involved. There is more thought needed to get a design right and the roof framing tends to be more complex. Because they are much bigger than eaves gutters, the material cost is greater. It will certainly cost you more (for the ceiling and internal repair works) if it leaks. And it takes longer to replace one…. …. But you may have no option. And if this is the case, then make sure that it is designed and installed correctly in the first instance. Then be fanatical about keeping them clean! Do you have a leaking box gutter? Box gutter repairs are often the first option available for you. There are things to keep in mind if you are looking at box gutter repairs. Looking at the “typical shape” of a box gutter in your iliistration, I note that there is no flashing shown, its simply a “u” shape…is this a normal design ? and if so what stops the water from a down pour overflowing back under the roof ? It is quite normal for a box gutter to be a simple U shape. There is nothing stopping overflowing back under the roof. That is why it is important to have box gutter overflows and sufficient downpipe outlets to stop the water line approaching the top edge of the box gutter. Box gutters are not as good as eaves gutters because the overflows go back into the property rather than external. That is why particular care with design and maintenance (to prevent blockage of the drainage outlets) is critical when you have a box gutter on your roof. WE have had a box gutter for new extension roof where it joins gable end of our existing building. However, the new extension bedroom corner wall has become very damp and new paint is now peeling off. There is no leak on roof tiling. I can only think the box gutter is tipping rainwater towards inside block wall although the external wall on both existing and new extn wall are also very wet. Any help would be appreciated to find out the cause, do I need the chippies back to sort it, or is it the roof tilers? Sorry for the delay. We have just returned from a long Christmas holiday. The leak at the box gutter has nothing to do with the chippies. It would have been installed by the roof tilers (who are usually not very good at box gutter work). So, you should get the roof tilers back to check out the problem. Greetings Jack. Planning to construct a roof between twi existing buildings approximately 1.8 metres across from shed to shed. Intend to slope roff from left to right. Will be attaching the roof support frame to the walls of each shed, approximately two thirds up the side of each shed. Intending to install a box gutter. Despite a very significant eave on the existing shed, on the box gutter side. Will need to flash both shed walls to prevent leaking. Both shed walls are external walls, clad with colorbond sheeting. Would screws and silicone be sufficient? Any advice would be appreciated. thanks in advance. Sounds like a complicated little roof job. I assume your question is about how to waterproof the side of the box gutter to the colorbond metal walls of the shed. If this is the case, screws and silicone would be what we use. Yes, that will be OK.
can i replace box gutters with stander gutters i dont care about how the house will look. Some houses have a hidden (box) gutter on the perimeter of the roof – instead of exposed guttering.The box gutters can be replaced by standard eaves gutters – but there is a lot of work involved with this exercise. So, it can get quite expensive. We usually cover the ‘tired’ wooden fascia with a colorbond flashing to provide a maintenance free fascia. The actual box gutters may need replacement also. Hard to estimate a price. $5000 for the fascia work will be a good stab for your purposes. If you send me the details of your box gutter through my contact form, I will take a look for you. recently we had a roofer come out and install a box gutter in between two buildings however it still leaks we have put two downpipes from each end of gutter but still no luck . can u help please? Sorry, we are closing up for the Christmas holidays and do not return until 19th January. If you have not resolved the situation by then, contact me via the contact box. If you block off the ‘pop’ and cut in a side outlet that drains all the rainwater onto the ground, it goes against most local council regulations that require rainwater collection from the roof to drain into the storm water system. You will also have a large volume of water consistently running off your roof and splashing onto the ground next to your wall. You will end up with a wet wall and a crater in the ground…. I am just having a box gutter installed on our house that is being renovated at the moment . The roofer says that by Australian Standards the colourbond box gutter insert must sit on either a plywood or AC sheet base to be compliant . But a standard is written based on safe and sensible ways of doing things. Box gutters of any decent width will be walked on by someone during its life. Our townhouse is 5 years old with a box gutter. After the recent heavy rains,the water came from the roof into the bedroom like a curtain waterfall down two walls, and also leaking down into the ground floor. After cutting open the ceiling, the water was found to be coming down between the wall and the brick outer wall. The plumber has put bitumen on the gutter joint, which has not helped, as the water leak has not stopped completely. Could you advise what needs to be done. Thanks.. There are two types of leaks from box gutters. The slow leak: This is typical of a leaking joint (if the box gutter is fairly new) or a rust hole (if the box gutter is very old). So, the joint has to be re-sealed in the first case or the box gutter replaced n the second case. A sudden flood of water during very heavy rain: This is typical of an overflow situation. The outlet of the box gutter may be blocked by debris, or the box gutter outlet simply cannot discharge the water fast enough. If the box gutter has no overflow provisions, this causes a ‘waterfall’ over the sides of the box gutter – typically running down the walls. It sounds like you have an overflow situation. Check the outlet first to see if it is blocked. If the outlet is too small and there is no ‘box gutter overflow provision’ – then these have to be rectified. I have a 79 year house with galvanized box gutters, I noticed water is pounding in the middle. Is this normal for box gutters or should they be adjusted to run off better. In theory, all gutters should have a fall towards the outlet. In practice, a lot have no fall or too little fall. So, it is normal for some sort of ponding to happen…although not desirable. There are plenty of reasons why box gutters have little fall and the resultant ponding. These may prevent any easy adjustment to eliminate the ponding. My sons home is only 4 years old and has a flat roof with box gutters when we had a bad storm mid April 2015 we had lots of hail very small built up and block the drains causing water to pour into house bedrooms plus. How can we correct this happening once again. It sounds like the box gutter has no overflow protection. An overflow (large enough to pass lots of hail stones through) will provide the safety relief against this happening again. Depending on how the box gutter has been built, this may be a simple or very complicated solution…. I recently replaced my old box gutter. However, the new one doesn’t have enough fall to let water flow to downpipe. The tradesman said that they cannot make enough fall as box gutter need to align with eave. My eave doesn’t have enough fall. Is this true? The new box gutter blocks old overflow point. The tradesman said that it is a more advanced system ( the front of new box gutter is lower than the back). No overflow point will be required as the water can over flow from the front of box gutter. Is this true? It sounds like what you have described is a ‘FASCIA gutter’ – rather than a ‘box’ gutter. Or you have a box gutter around the perimeter of the roof just above the edge of the eaves. If you have this type of box gutter, then it can be installed with a fall to the down pipes because it is independent of the eaves. The front of this type of box gutter can be fabricated to be lower than the back and overflowing will occur over the front edge and no other overflow provisions are required. We have a box gutter on our new renovation. It is 9 metres long. The pitch is sloped slightly the wrong way at the beginning causing a few mm of water to stand there for many days after a rain. Is this bad for the gutter? Is this compliant? Ideally, a box gutter should drain to the outlet and not pond water. Ponding water can shorten the life of the box gutter – by causing premature rust. I have installed box gutter in a church .it was originally installed the same as previous box gutters .They were not happy that it held water so they wanted a fall on it .So I had to take out again and cut one side down and indoing so cut the turn down of to get a fall .My question is ,because I had to cut it down to fit it so it has fall it dosent have the turndown ontop edge , does it void there warranty? It depends on who has provided the warranty and what the nature of the warranty is. Is it a performance warranty (that the box gutter will not leak) or is it a method of construction warranty? In my experience, if the top of the side of the box gutter is hard up against the underside of the roof sheets. then it performs just as well as a box gutter that has a lip that folds back under the roof sheets. I would not get too worried about it. Just make sure that the gutters are slotted and that there are enough downpipes. Thanks for the advice here, it is very useful. We are going to have an unavoidable box gutter about 8m long, with one down pipe of 100mm, draining a pop up roof that is about 8 x 5m. There are a lot of gum trees above and maintenance will be high. I’ve had conflicting advice about gutter guards. Do you recommend some sort of gutter guard or will this make cleaning more difficult? Leafguards have limited use over most box gutters. The leafguard does not deflect leafs off the roof and the leaves just sit on the roof and the leafguard. Some leaves still get under the leafguard and into the box gutter. Then in order to clean the box gutter, you will have to remove the leafguard. I recommend investigating the possibility of ‘poking’ the outlet end of the box gutter through the side wall of the house and having the full box gutter discharging into a rainwater head mounted on the external wall. (this eliminates the regular blockage of the ‘tiny’ 100mm outlet). With regular cleaning of the box gutter, this box gutter setup will virtually eliminate overflowing of the box gutter. My roof is a flat roof with box gutters and very little fall, definitely less than 5 degrees. In heavy rain there is no problem but in light rain the water seems to go back up under the sheeting and drips into the eaves. My question is: is there a product that I can slide up under the sheeting to stop this back-flow problem? You should not need any additional flashing. The roof sheets should just be turned down properly. One local roofer just quoted $800 to fix the problem! I will try to locate the turn down tool and do it myself. Worth a try!! Hello, I have a older home 1910 in Pittsburgh,pa! I notice several leaking areas in my house and was told it’s my box gutters. I have build in box gutters. Some say repair while other roofers say replace them because repairs are short term. I was told my box gutters in the back is bad. Money is tight and I want to stop water from leaking into my house or side of building! My house is about 2300 sq. I was also told I can get rid of the box glutter system all together and than do the regular hang glutter. What do you think? I do not care about the look of the house! If money is tight – then consider a repair. If you can afford it – then replace the box gutters. If you want the expensive long term option – then getting rid of the box guttters is the way to go. we are really at the end of our tether. We had a conservatory installed 2 years ago and usually in the winter months it leaks a great deal more in one place. This is in a corner which takes a lot of rainfall from the main roof and it fills up very quickly. Also I don’t feel as though the drainage to the down pipe is quick enough. However, when we have spoken to the company who erected it, they say a box gutter should not have a fall on it. On dry days significant water pools in this area without draining away. I am wondering whether the gutter needs more fall on it and whether a wider box gutter is needed to take away the volume of water we get from the main roof. How would you recommend we try to get to the bottom of the issue. Also we have the issue of condensation as no trickle vents were ever fitted and a build up of moisture is occurring under the aluminium gutter causing the insulation underneath the box gutter(inside) to become damp. I would suggest piping the flow from the main roof some where else – not into the box gutter. The box gutter should have a fall in it so that it does not pond water. Looks like you may need a new box gutter (may be bigger?) to be installed that has a building blanket underneath to prevent condensation.